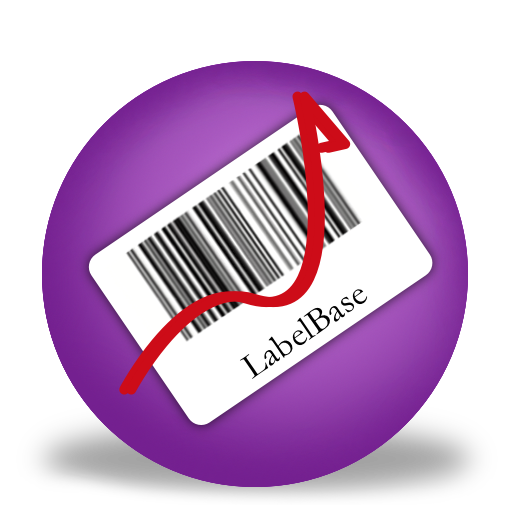 Above is a Youtube video we made to show you how to create basic labels in Labeller. 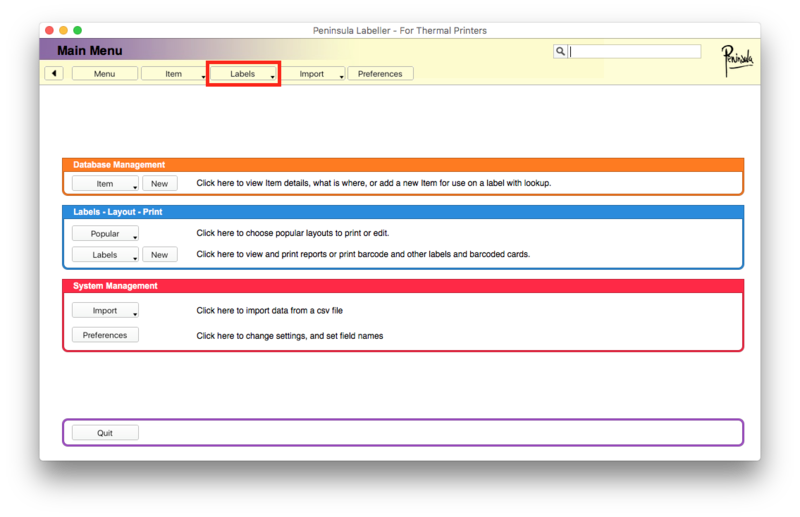 After clicking the "next" button, the dialog will change to one like in the image above. 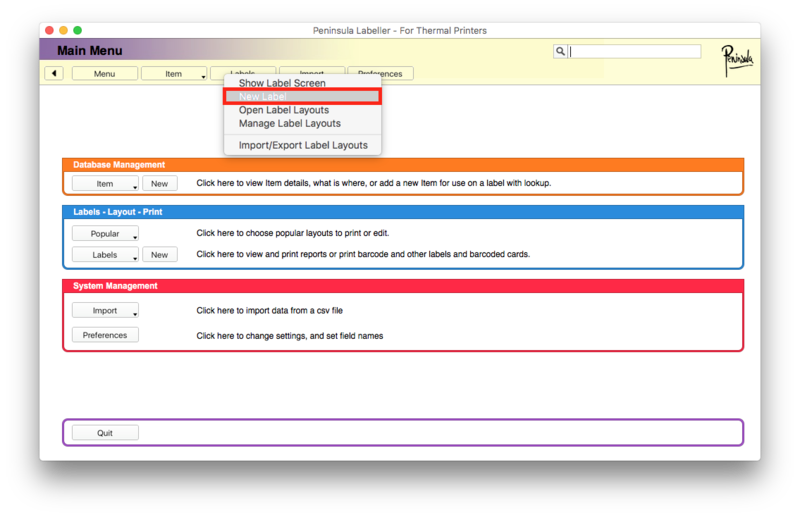 You will see a scroll bar, scroll along until you come to "label layout" select it. Once you have ensured you have selected the correct thing click the "next" button. 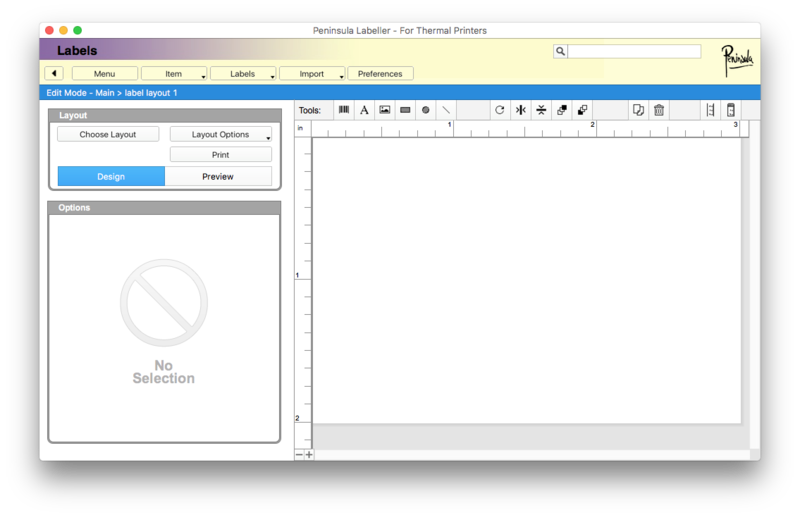 After clicking the "next" button a new dialog will appear. 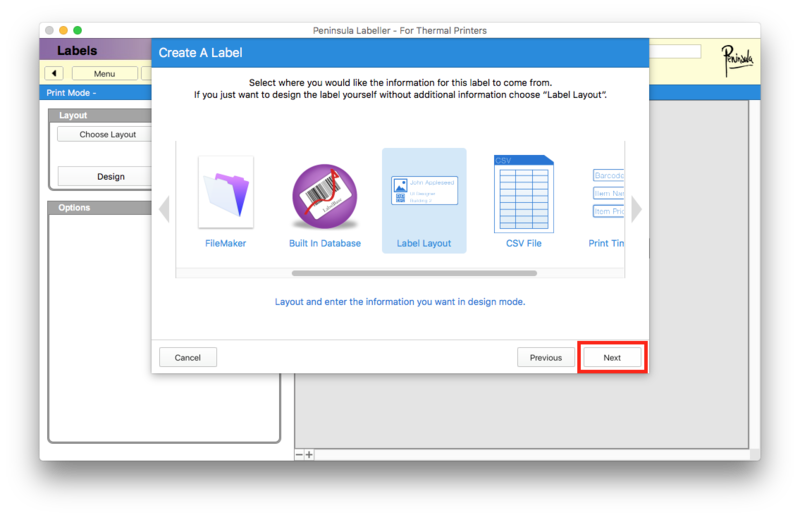 Click the create "button" to move on to creating your label. A new dialog should open like in the image above. 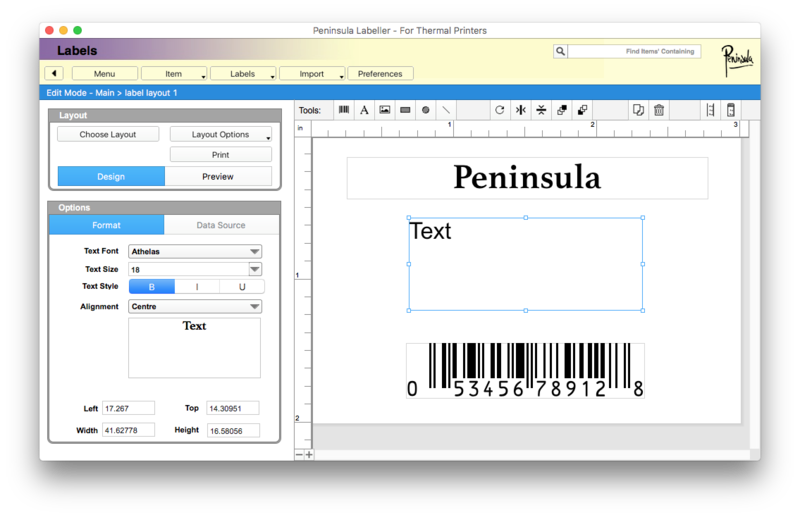 Add some text fields to your label by pressing the "text" icon. 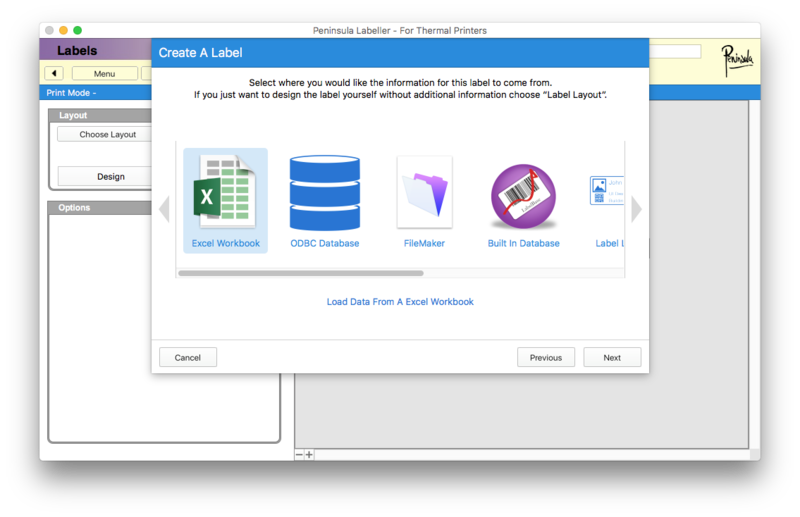 We have highlighted the icon for you with a red box. 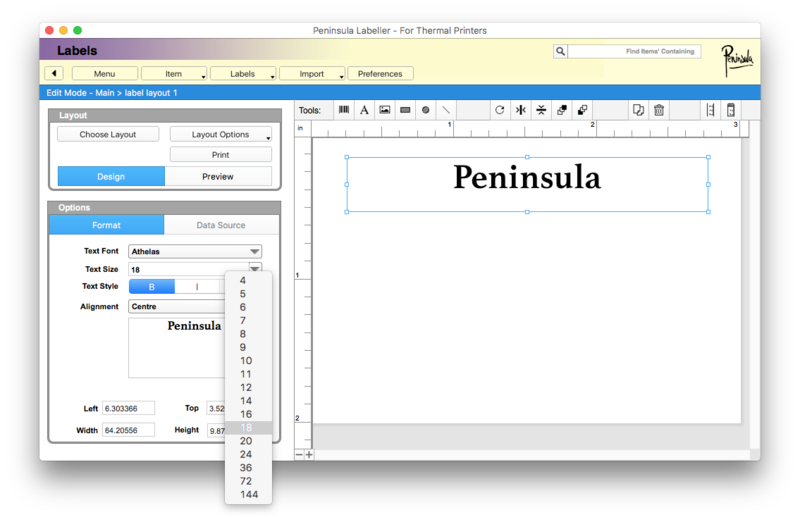 Add your content and style your text how you wish to, using the options in the format box. 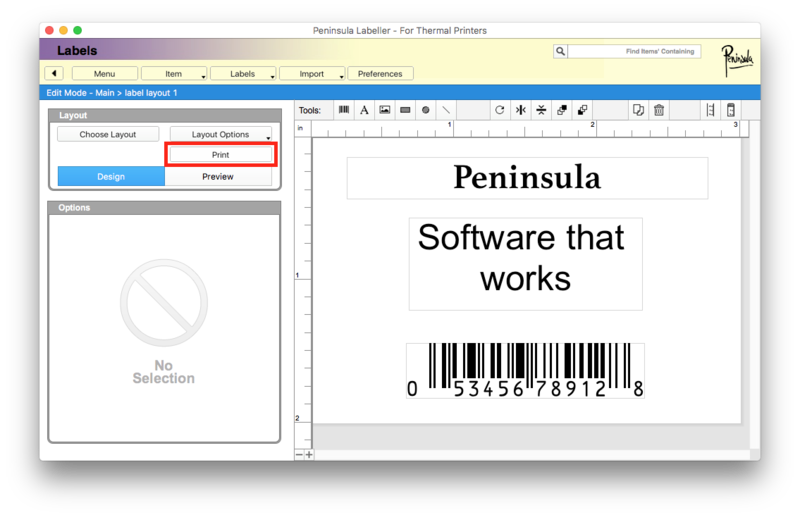 To add a barcode field click on the "Barcode" icon. We have also highlighted the icon you need to use to create the Barcode field. 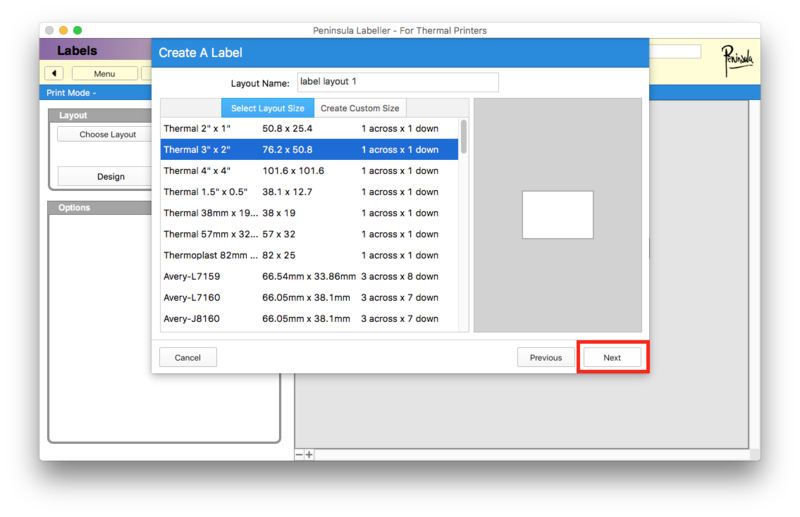 You can now add the content and position the field where you want it to be. 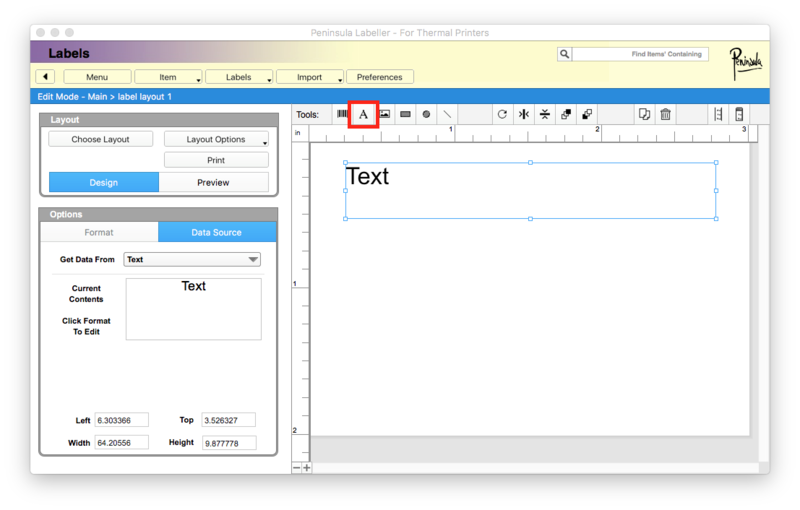 Next add any other fields for copy you might need. Styling it as required. 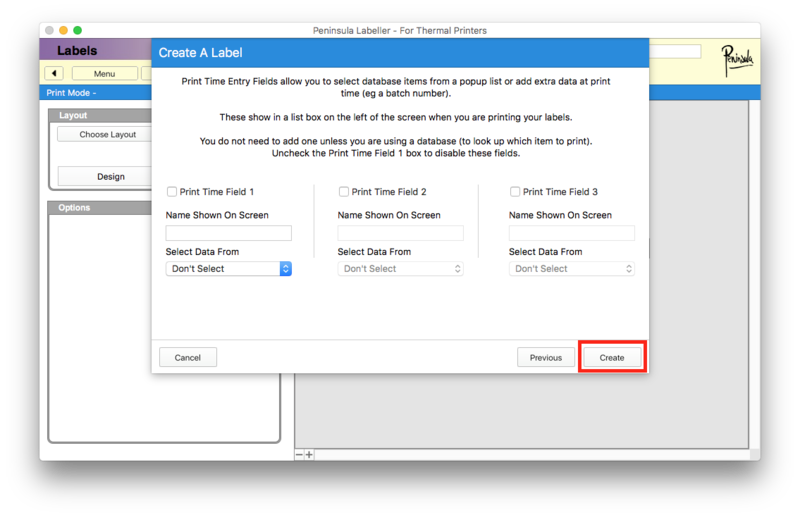 Once you have finished adding any other fields and it looks the way you want, click "print"
After clicking "print" a new dialog will open. Click the "yes" button to save the changes made. 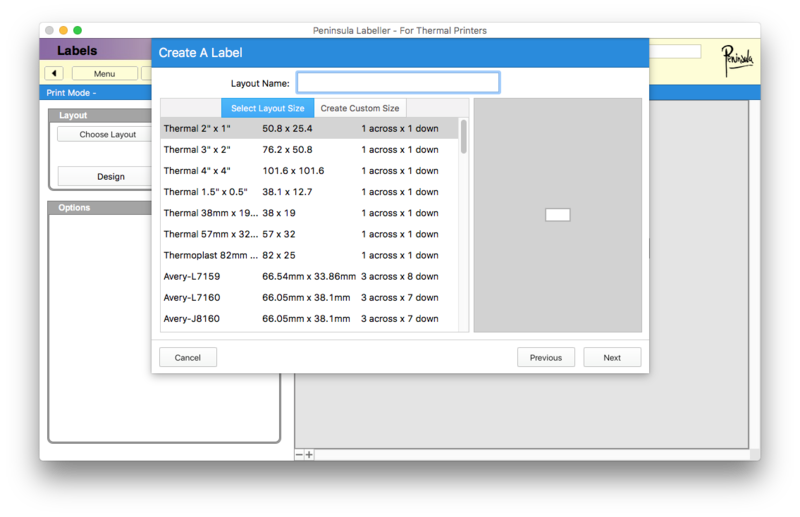 as we are simply using a static layout the number of labels to print field will be one. 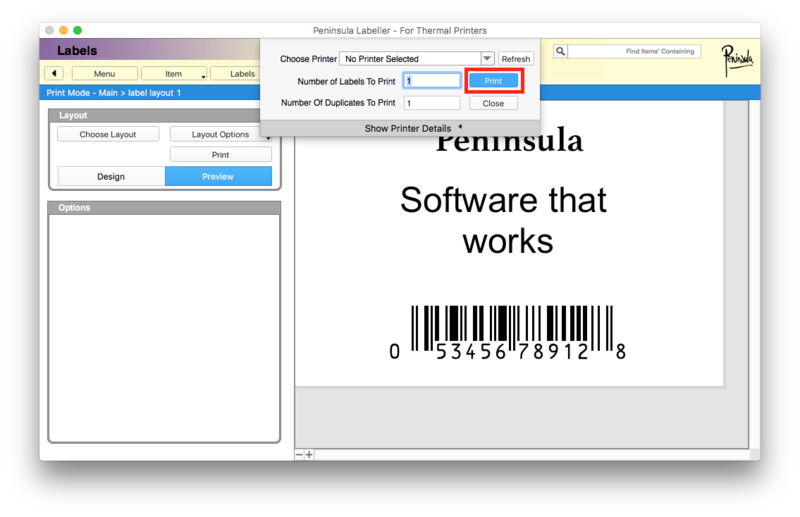 You can print multiple copies of your label, by entering a number in the "number of duplicates to print" field. Here in our example we are only using one. 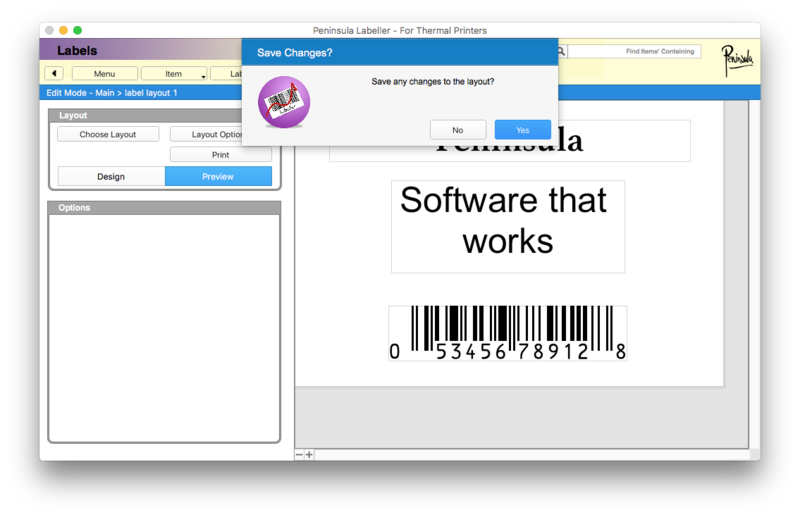 Next click "print" to print your label.